Protecting software should be safe and simple – but isn’t that a contradiction in terms? Wibu-Systems shows that it does not have to be with CodeMeter Protection Suite. Its tools protect against fraud, are easy to build into software applications, and make software protection work seamlessly with existing processes. 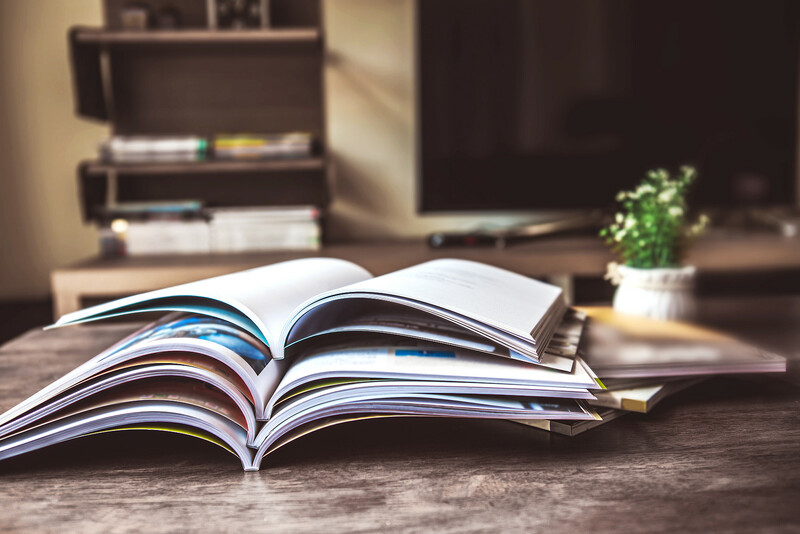 Protecting intellectual property and making sure that only licensed software can be used is just one of the many challenges that software developers have to contend with. Software can be delivered in different forms: as executable applications or as libraries. Whether you are making software for Windows, macOS, or Linux – the solution for this challenge can be found in the sophisticated tools included in CodeMeter Protection Suite. AxProtector (Automatic Executable Protection) gives you a perfect tool for the automatic protection of compiled software. The software can come in many shapes and sizes: from “regular” binaries, written in C/C++ or Delphi, to precompiled code produced in .NET for Windows or cross-platform Java. All of these types can be protected with AxProtector, AxProtector .NET, or AxProtector Java, with each tool using a unique technique to protect your work. Upon launching AxProtector, you first need to select the application type. The assistant then opens and helps you protect your unprotected application in a few simple steps. 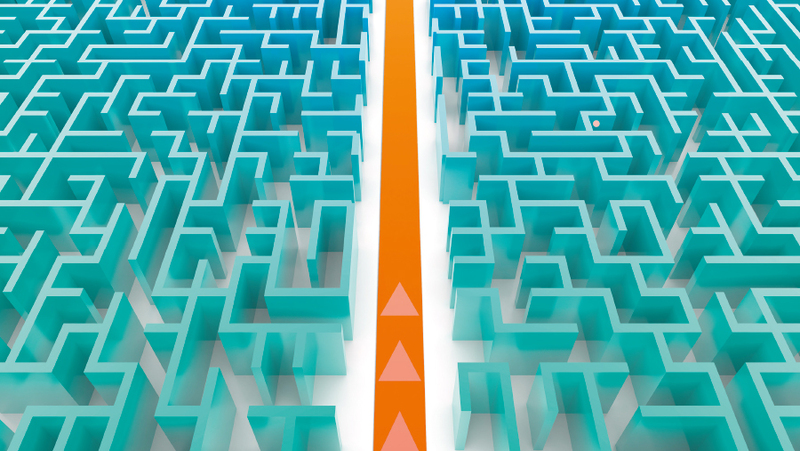 The intuitive process needs no manual or special instructions. AxProtector supports several licensing systems, so that you could encrypt one and the same software with different licenses. When using a Universal Firm Code, you can also simply encrypt your file and decide later whether you want to use a device-bound license file (CmActLicense), secure hardware (CmDongle), or a user-specific license from the cloud. If you have a Firm Code for a CmDongle, CmActLicense, or WibuKey, you have the option of encrypting the application with it. Wibu-Systems is committed to full backward compatibility: The current protection mechanisms will also be available for older licensing systems. When a protected application is launched, it will look for the right license in one of the allowed licensing systems. It is easy to determine how the license for the protected software is counted, e.g. once per launch or only once per computer. Whether and how frequently the license should be checked is just one of the many settings at your disposal, pre-set to the most meaningful option. The protected application will notice when hackers tamper with it or attack it otherwise and automatically lock the license in such incidents. This keeps your know-how protected and prevents any additional attack. AxProtector uses the full power of CodeMeter in the encryption: On top of the keys stored in the license, there is a variable key to make the encryption unpredictable. AxProtector also checks whether the protected software has been tampered with since its original encryption and prevents manipulated applications from running. The strong protection provided by the automatic encryption can be made even tougher by using function-level encryption. A selection of functions is encrypted additionally and only decrypted into working code when the functions are specifically required. This individual form of protection is called IxProtector and is easily integrated in software. Just mark the target functions, including an API call for decrypting them as needed, and include the functions in the settings – it is as simple as that. In the case of .NET and Java applications, the different format means that the encryption is automatically applied on the level of individual methods. AxProtector .NET and AxProtector Java come with IxProtector integrated without requiring any special configuration. The methods are automatically decrypted during execution. It is just as easy to include modular protection and the checking of special license details. The user interface lets you define additional licenses, e.g. for modules licensed separately. These additional licenses can be checked with the Wibu Universal Protection Interface (WUPI). Combined with function-level encryption, this creates a strong shield for these additional modules. When no licenses are available – be it the basic license or additional licenses – a flexible error management process springs into action: Its response to an identified incident and the notifications given to your users can be adjusted with the settings of AxProtector and the so-called UserMessage library. An application could return a customized error message, or the incident could be recorded in a special log file in the case of a protected function. The protection process should be fully integrated into your standard workflows, so that your software is already protected during its initial testing. You can integrate the encryption of applications and libraries already in the build process. The settings defined with the AxProtector UI can be exported into a settings file at the push of a button, and the encryption process can be executed automatically with a simple command line call. 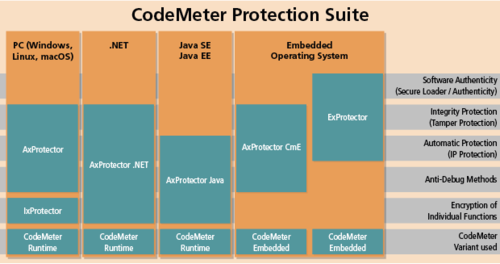 Wibu-Systems regularly publishes new versions of CodeMeter Protection Suite with new and improved security capabilities on board. The free updates strengthen the protection of your applications without any effort on your part and keep your work safe from attackers. Protecting software with the tools in CodeMeter Protection Suite is not just simple – it also gets better over time. The evolution of new technologies will easily integrate into your software without any complexities. CodeMeter Protection Suite gives your application or library a double layer of protection in a few simple steps: It stops would-be attackers from copying your software or analyzing its code and safeguards your revenue streams while shielding the invaluable know-how you have developed!